A-List actress Jennifer Aniston reportedly paid $21 million for this ultramodern Bel Air, CA home. Looks like it's time to update the Celebrity Real Estate Heat Map: A-lister of A-listers Jennifer Aniston has reportedly scooped up new mansion for herself in Bel-Air, Calif. The pristine 8,500-square-foot four-bedroom was designed in 1965 by noted Los Angeles modernist architect A. Quincy Jones; after first hitting the market for $29 million in 2008, the house was reduced to some $24 million, at which point Aniston swooped in and scored it for even less: $21 million. 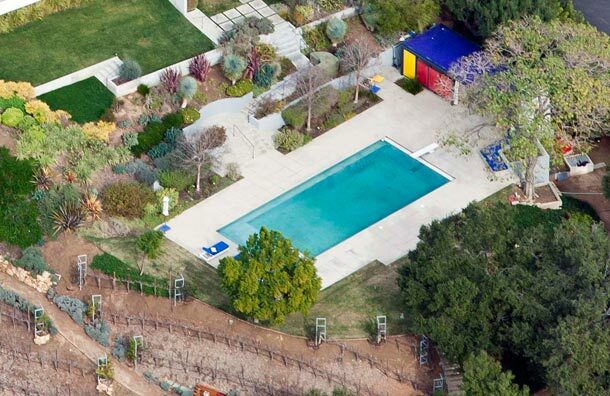 And as if this lucky lady didn't already have enough of them, here are yet some more perks: more than three acres of land, views of the city and ocean, a pool, a guesthouse, a wine cellar, and—last but certainly not least—a vineyard. Let's not forget to look inside: those distinctly midcentury-feeling interiors boasts gleaming wood floors, full-wall expanses of glass, and some pretty stunning fireplace detail. 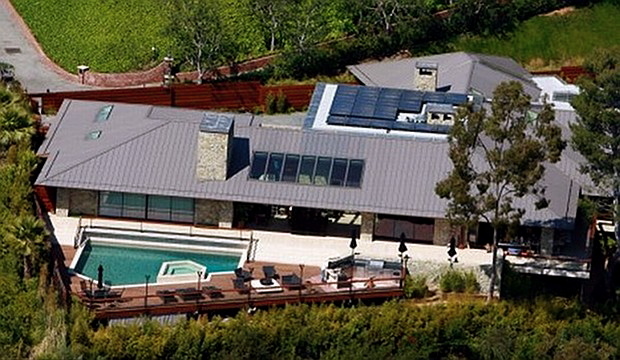 Aniston's had quite an impressive year in terms of real estate. The actress listed and then sold her spectacular Ohana estate, a Beverly Hills beaut that was once featured on the cover of Architectural Digest. 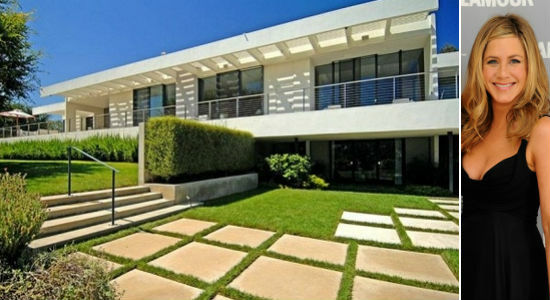 She swiftly found another Beverly Hills estate in which to shack up with new beau Justin Theroux. Let's not forget her East Coast accommodations, either: her new SoCal new pad is located just a plane ride away from her nest overlooking Gramercy Park. In short: life looks pretty fine when you're her.